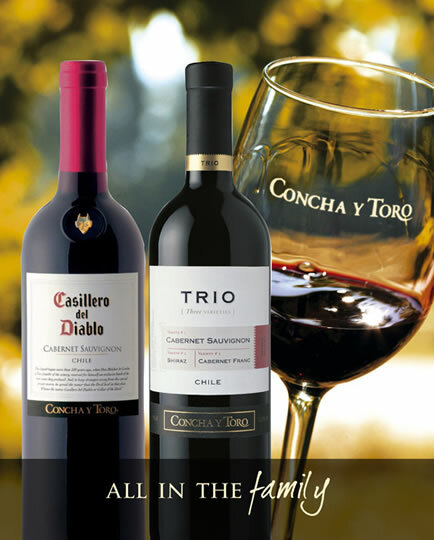 Chilean wine giant Concha Y Toro saw the value of its wine sales rise 8% in the last quarter of 2019, following its move to focus on higher worth priority brands, but net profit fell nearly 1% (0.9%) over the year on the back of higher wine costs and restructuring. The Chilean wine giant reported consolidated revenues of Ch$614,129 million Chilean pesos (around USD$922.39 million) in 2018, a rise of 0.1%, while EBITDA fell 0.3% to Ch$86,025 million (USD$129.21 million) – although adjusted EBITDA saw an increase of 0.2% to Ch$89,297 million (USD$134.12). It said the decline in operating profit, particularly in the final quarter of 2018 was due to costs and expenses related to the internal restructuring. The company said it had continued to make progress towards its 2022 strategic plan which aims to focus on growing its value proposition after divesting its non-priority brands, implementing a new commercial strategy to serve its markets in a more specialised way, strengthening its brands and improving the route to market and undergoing an internal reorganisation. The changes resulted in strong wine sales in the final quarter of 2018, which saw sales rise 8.2% over the last three months of the year, largely on the back of an increase in the average price of its wines, as well as a favourable foreign exchange. This helped boost overall wines sales across the year by 2.7%, with higher average prices and a fall in volume as it concentrated on its more profitable brands. It also helped offset the cost of the restructuring, which grew from Ch$3,880 million, in 2017 to Ch$5,192 million in 2018, resulting in net profit in the final quarter falling 41.1% to Ch$11,531 million (USD$ 17.32 million) or by around 0.9% across the year at Ch$49,111 million (USD$73.76 million) It noted that the bottom line in the final quarter was affected by restructuring costs and expenses, higher distribution costs, the absence of Real Estate income, and lower exchange differences. Meanwhile non-wine sales fell 26.1% over the year. While there was growth in the Chilean domestic market, with wine sales up 14.7% to Ch$79,473 million (USD£119.36) on the back of a higher average price (+8.6%) as well as higher volumes (+3.9%), the export market was slightly slower at 1.6% or Ch$404,701 million (USD$607.84), with volumes affected by exiting some brands, as well as interruption caused by a strike at the port at Valpairaio, and the closure of a bottling plant. Sales were good in Europe, which accounts for 50.2% of its sales, but it was the US, which accounts for over 9% of the company’s exports, that saw the greatest growth of 19.0%, followed by 7.1% in Central America and Caribbean, and 1.1% in Canada. There was decline in export market in South America (-10.7%), as well as its second largest market, Asia (-8.0%), Africa and the Middle East (-17.1%). The company also ended its distribution agreement with Diageo, leading its non-wine segment to fall by 27%, offset by gains by premium beer s Miller, Kross and Estrella Damm.